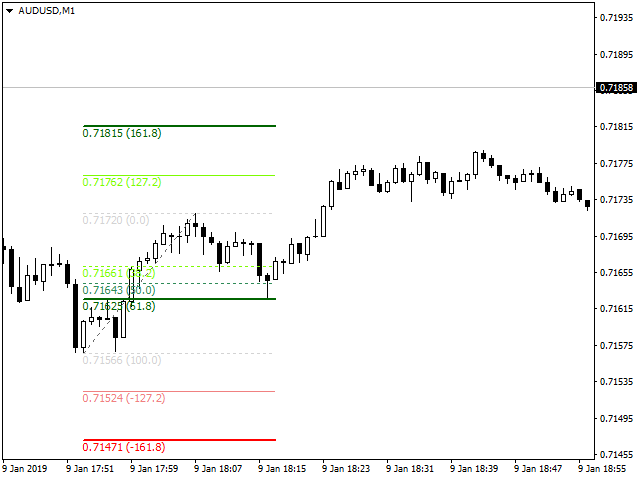 Fibo Color Levels is an amazing tool for Fibonacci lovers. You can customize your preferred values, styles and formats of each level and set the color levels according to their importance. 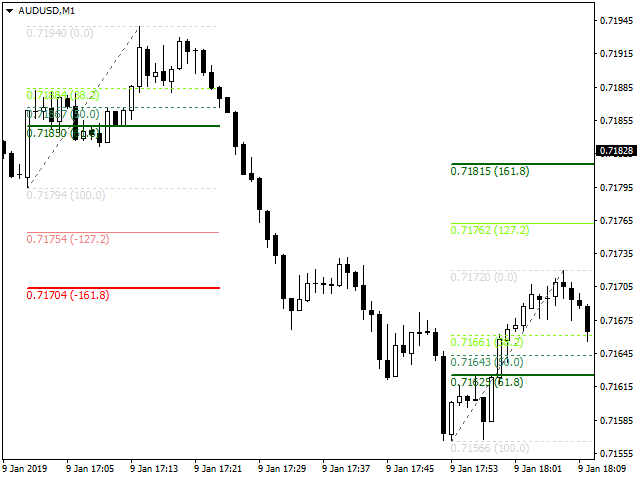 Fibo Color Levels Not add object fibonacci retracement automatically. The purpose of this indicator is not it. 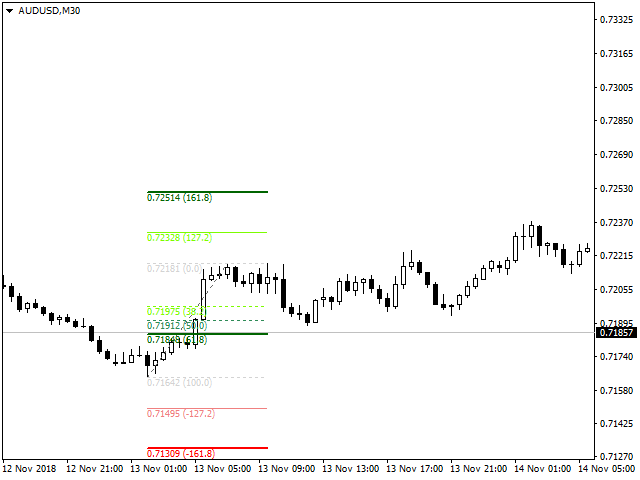 So you need to manually add the Fibonacci Retracement in your chart, as usually already do. 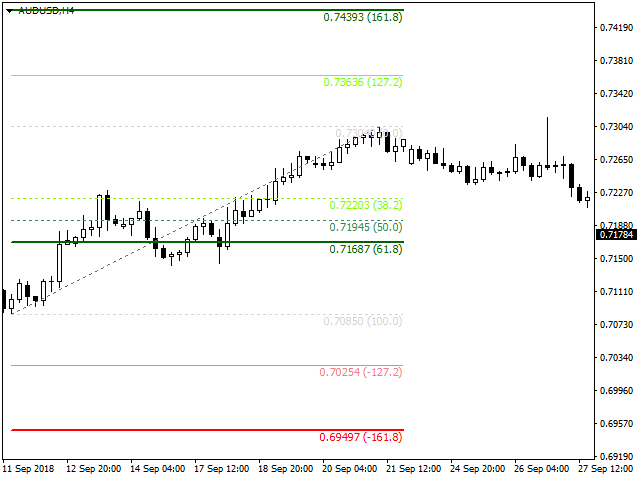 Use the standard tool Fibonacci Retracement in your MT4, draw the Fibo according to the swing-high and/or swing-low to which you want to calculate the retraction. After you add the Fibonacci Retracement, the Fibo Color Levels indicator will customization, coloring levels according to your personal specification in Inputs tab. Function on / off at each level. Custom colors according to the importance of set level. Styles and widths of each level defined separately. Works with multiple Fibo objects. Fibo Object Line Property Color — Change the color of Fibo object. Fibo Object Style Value — Change the style Fibo object. Fibo Object Width Value — Change the width of the object Fibo line. 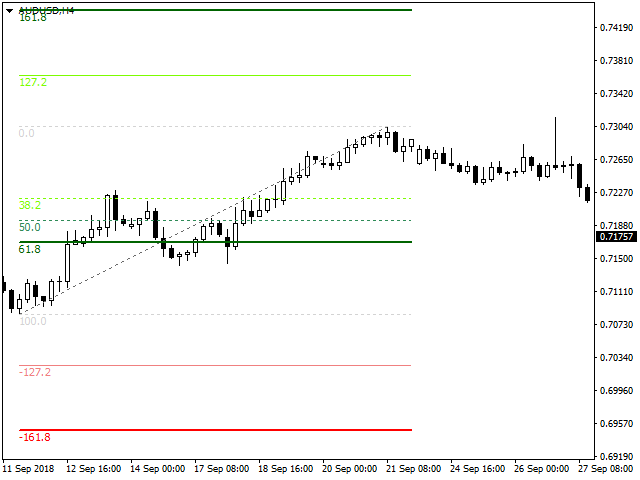 Levels Lines Length — Changes the length of fibo levels. Labels Position — Change label position. Labels Type — Change label type. 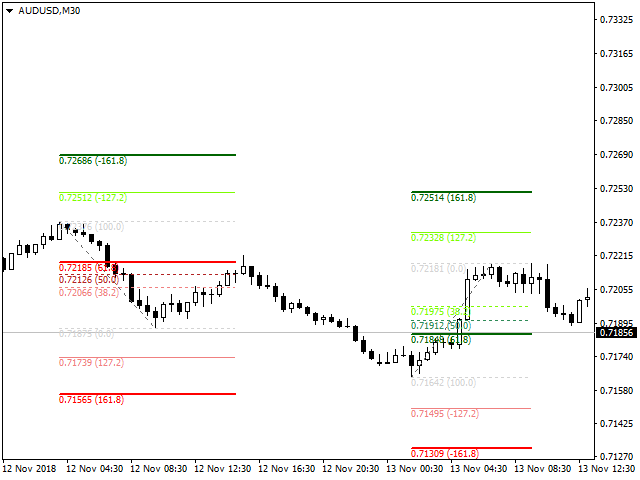 "Retracement Levels Importance Color Table"
Neutral — Change the color of less importance levels. Up Key Level — Change the color of key levels on swing-high. Up Strong Level — Change the color of strong levels on swing-high. Up Overbought Level — Change the color of over-bought levels on swing-high. 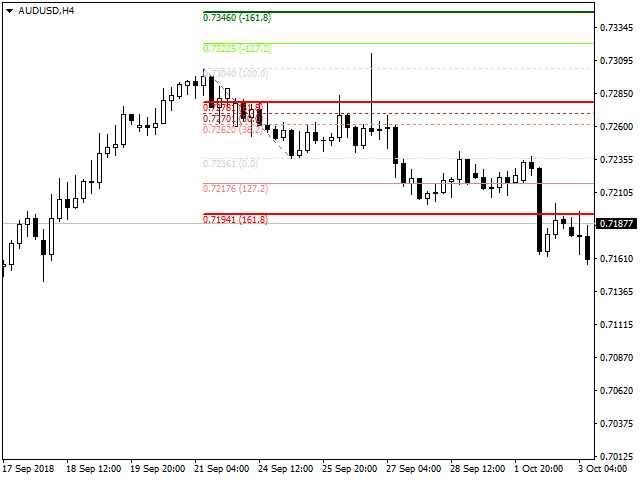 Down Key Level — Change the color of key levels on swing-low. Down Strong Level — Change the color of strong levels on swing-low. Down Oversold Level — Change the color of over-sold levels on swing-low. 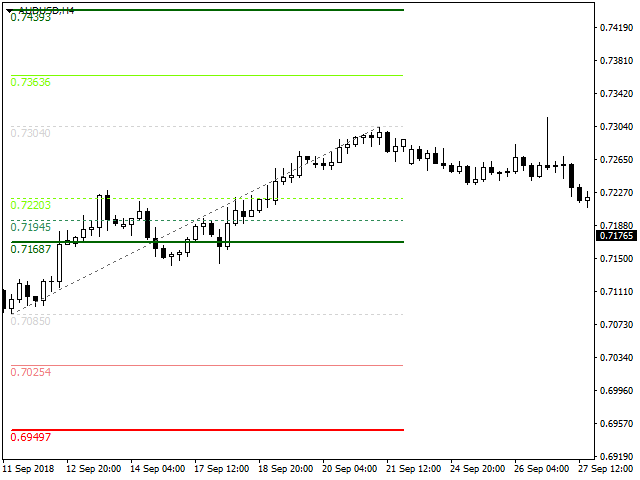 "Standard Levels 0 and 100"
On/Off Retracement Value 0.0 — On/Off level 0. Importance Color 0.0 — Set the importance of level 0, based on the color table. Define Custom Color — Custom color for level 0. Style Value 0.0 — Changes the line style of level 0. Width Value 0.0 — Changes the line width of level 0. On/Off Retracement Value 100.0 — On/Off level 100. Importance Color 100.0 — Set the importance of level 100, based on the color table. Define Custom Color — Custom color for level 100. Style Value 100.0 — Changes the line style of level 100. Width Value 100.0 — Changes the line width of level 100. 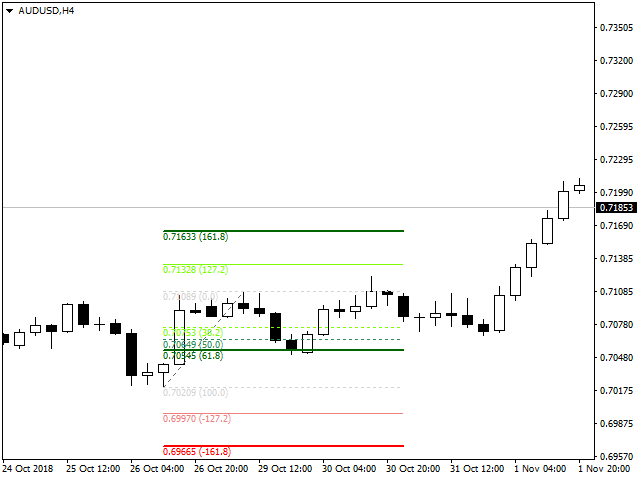 Fibo Retracement Value 1 to 12 — Change value of respective optional level. On/Off Retracement Value 1 to 12 — On/Off respective optional level. Importance Color Value 1 to 12 — Set the importance of respective optional level, based on the color table. Define Custom Color — Custom color for levels 1 to 12. Style Value 1 to 12 — Changes the line style of respective optional level. Width Value 1 to 12 — Changes the line width of respective optional level. Disable Notification for Creation of Fibo Object — Set false to disable notification for creation of Fibo object.